India Inc's financials as well as valuations are set for a makeover as new accounting standards come into force from April 1, 2016. 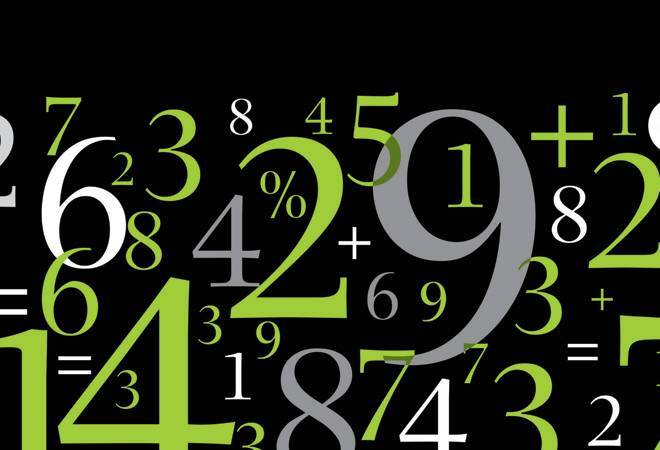 The new accounting standards, Ind-AS, are being implemented after a delay of five years. The Chief Financial Officer (CFO) of a Gurgaon-based logistics company looks hassled as he goes about attending one conference after another on new accounting rules that will come into effect from April 1, 2016. "By whatever I have grasped here, I am sure that our books will look much different after these standards come into force. I can see that our debt-to-equity and other important ratios will go for a toss," says the CFO, who had come to attend a conference on the new rules organised in New Delhi by Ernst & Young. Other financial executives and accountants who attended the conference were also concerned. "To top it all, there is a separate set of norms for taxation (Income Computation and Disclosure Standards or ICDS) from the Central Board of Direct Taxes. Our plates are full," says a finance executive from a telecom company. The new standards, Ind-AS, are being implemented after a delay of five years. They will change financials of companies - including the very important ones such as earnings - in ways that will not be pleasant for many. This is worrying India Inc. The rules are based on the International Financial Reporting Standards (IFRS), with some changes to suit 'Indian needs' (see Ind-AS Roadmap). They will not only change the way revenues, assets and liabilities are calculated, they also mandate more disclosures from companies on how certain figures have been arrived at. "After the IFRS, annual reports will look like a thick textbook," says Leo Van Der Tas, Global Leader, IFRS Services, Ernst & Young Global Ltd. The IFRS has already been implemented in many countries in Europe and Asia, though changes continue. However, the Ind-AS goes a couple of steps ahead and has two provisions - on revenue recognition and financial instruments - that no other country will implement before January 2018. It is these that may throw up the most surprises. For example, a company's profit could fall in spite of a sharp rise in its revenue. "It could be that it has to make higher provisioning (for various things such as inventory losses and accounts receivables) or report losses due to calculation of assets at fair value. 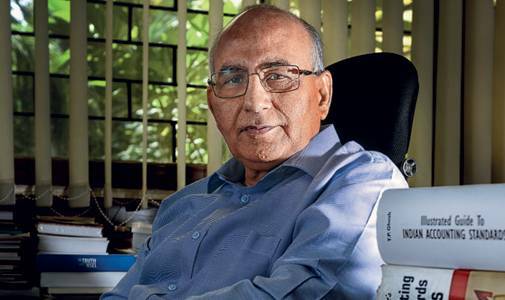 These two can lead to a drop in profit even if sales rise or remain the same," says Amarjeet Chopra, Chairman, National Advisory Committee on Accounting Standards (NACAS). Profit & loss and balance sheet items will also undergo changes. These will, in turn, also have a bearing on the companies' stock prices. However, it is learnt that under pressure from industry, the implementation of revenue recognition rules has been deferred for the time being. 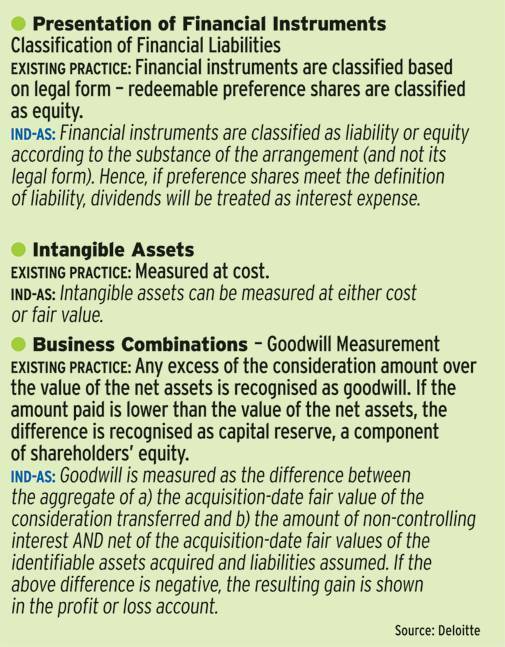 Ind-AS focuses on three aspects -time value of money, fair value of assets/liabilities and disclosures. The aim is to make financial statements more transparent and minimise the possibility of manipulation. There are rules on consolidation and financial instruments as well. Time value of money: Ind-AS mandates use of time value of money for revenue recognition, recording of assets and provisioning. This is important in cases where revenue comes from obligations that are fulfilled over a period and not at the time of entering into the contract with the buyer/customer. For instance, if a company sells a car with a three-year warranty for Rs 5 lakh, it can immediately record sales of Rs 5 lakh. But under Ind-AS, as the company is also selling a service (a promise to replace spare parts), the estimated cost of replacing the parts will be subtracted from the sale proceeds. The warranty part will be recorded over the next three years. Similarly, an information technology, or IT, company may enter into a five-year deal with a client for installing a software, maintaining it and then upgrading it after a period. In this, the IT company has three obligations - installation, maintenance and upgrade. Now, the buyer and seller can decide at what stage(s) money will change hands. Under Ind-AS, the IT company will have to record revenue in phases as it fulfils each obligation. It cannot record the full amount as revenue at the time of installation. It will have to do so in stages - a big one at the time of installation, some annually for maintenance and some at the time of upgrade. This can have a big impact on its short- and medium-term revenues. Use of fair value: This is one of the biggest changes. At present, assets and liabilities are usually recorded at historical cost (value at the time they are taken on books). Under Ind-AS, companies will have the option to use fair value. But if a company opts for fair value, it cannot revert to the historical method. "This is a fundamental change. The use of fair value (for debt, equity, inventory, financial instruments) gives a more realistic picture to investors. Such information is more market friendly," says Pankaj Chadha, Partner in the Indian member firm of Ernst & Young Global and India leader (Financial Accounting Advisory Services). Also, in some situations, both assets and liabilities will have to be valued only at their fair values. For example, in mergers and acquisitions, or M&As, the acquired company's assets will have to be recorded at fair value on the date of acquisition. At present, companies can use either book value or fair value. If the cost of acquisition is more than the net asset value of the acquired company, the difference is booked as goodwill and amortised over a maximum period of five years. If it is less, the difference is recorded as capital reserve. Under Ind-AS, the goodwill will not be amortised but capitalised - recorded in the balance sheet as opposed to the income statement - and tested for loss of value or impairment. Besides, its value will come down in case of M&As as other intangible assets such as brand value, technological know-how, customer base, etc, will be valued separately. Right now, many of these are clubbed with goodwill. "Today companies can use all kinds of structures to acquire a company. The accounting is driven by the structure of the acquisition. Under Ind-AS, whatever the structure, the accounting will be uniform - fair value method," says Sai Venkateshwaran, Partner and Head, Accounting Advisory Services, KPMG in India. However, putting a higher value to assets may lead to a rise in depreciation and amortisation, hitting profits. Imagine a company which has reported assets of Rs 400 crore under the historical cost method. If these are valued at Rs 1,000 crore under the fair value method and depreciated for 10 years (10 per cent every year), the company will have to deduct Rs 100 crore as depreciation from operating profit instead of Rs 40 crore at present. Therefore, its profit before tax will fall by Rs 60 crore. Disclosures: Ind-AS is about telling the full story behind the numbers. The focus is on giving full analysis of how a certain number (revenue, profit, expense) has been arrived at. So, companies will have to explain how a revenue has been recorded, state the assumptions related to revenue expectations and valuation of assets/liabilities, and the risk involved in exposure to different financial instruments. "Ind-AS has standards on more topics and subjects than what we have at present. There are standards on ESOPs, financial instruments, impairment and intangible assets. For each standard, there will be more disclosures and, therefore, the quantum of disclosures is much higher than under Indian GAAP," says Manoj Fadnis, President, Institute of Chartered Accountants of India or ICAI. More disclosures mean little scope for manipulation. Fadnis says companies which have been not been following good accounting practices may get exposed after they use Ind-AS. Some companies listed on foreign bourses may already be following some provisions of IFRS and may not find the transition to Ind-AS a tough task. "We are listed on the New York Stock Exchange and already follow the US GAAP (Generally Accepted Accounting Practices), which is not much different from IFRS or Ind-AS rules. 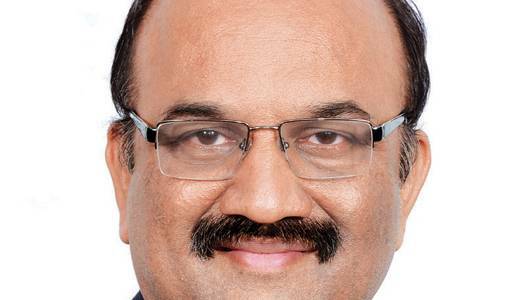 So, for us, the transition will not be difficult," say R Gangadharan, Vice President, Finance, Financial Reporting And Compliance, Tata Communications. Standards on financial instruments: For the first time, India will have accounting standards for financial instruments. These deal with valuation, classification and recognition of financial instruments - loans, equities, convertible debentures, derivatives, etc. Reclassification is the most important part. Some instruments now called equity will be reclassified as debt. One example is preference shares. Preference shareholders do not have voting rights and receive a semi-fixed dividend. Ind-AS clearly says that if the issuer of an instrument has an obligation to deliver cash or any other financial asset to its holder, the instrument will be classified as a financial liability or debt. Only instruments in which the issuer has no such obligation will be treated as equity. That is why preference shares will be classified as debt. Hybrid instruments such as convertible debentures are currently treated as debt initially and as equity on conversion. From April 2016, they will be split into equity and debt components and recorded separately. These changes may in some cases have a negative impact on debt-equity ratio, current ratio, etc. Assume that a company has a debt-to-equity ratio of 2:1 (debt of Rs 200 crore and equity capital of Rs 100 crore, including Rs 30 crore that it has raised by issuing preference shares. Under Ind-AS, the debt will be Rs 230 crore and equity Rs 70 crore, taking the debt-to-equity ratio to over three. Shares of companies with high debt-to-equity ratios are not considered a good investment. Consolidation: At present, if a company has a 50 per cent or more stake in a subsidiary or a majority on its board, it is said to have control and, hence, has to consolidate it. However, even if a company has a minority share in a subsidiary, it can still call the shots through different arrangements. Under Ind-AS, this can be treated as de facto control, and so the subsidiary has to be consolidated. The reverse is also true, that is, if a company has more than 50 per cent stake in a subsidiary but no significant control, it may be asked to de-consolidate. For example, a foreign company cannot hold more than 49 per cent stake in an Indian insurer. However, most foreign partners have a significant say in the joint venture's decisions. The Indian partner may have to de-consolidate the insurance business in such a case. "Ind-AS looks at the crux of the arrangement and sees what are the most critical activities of the company, who controls these activities, and what impacts its returns. This is the company that should consolidate the subsidiary," says Sai Venkateshwaran of KPMG India. Will these changes alter the fundamentals of companies and, therefore, lead to re-rating of their shares? Due to changes in the way revenue is recognised, or assets and liabilities are valued, a company's profitability and important ratios - debt-to-equity, price-to-earnings - will change. As a result, their stocks may be re-rated. The exact impact will vary from company to company. In cases where bundling of goods and services (for example sale of software and maintenance services) does not happen, the revenue may not change much. However, due to rise in the value of intangibles, such companies may have to report higher amortisation, lowering profits. So, the revenue may remain the same or profitability may go down and vice versa. Will these changes lead to volatility in the stock market? 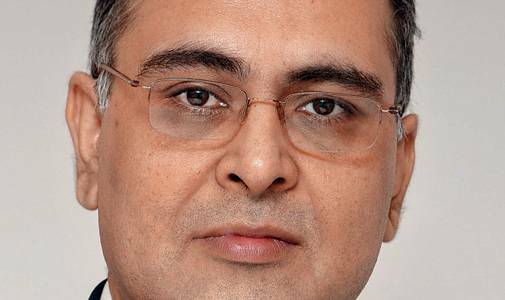 Pankaj Chadha of E&Y believes there will be short- and medium-term volatility. "We saw this after the implementation of IFRS in many European countries," he says. Is this worrying fund managers and equity analysts? Chandresh Nigam, MD and CEO, Axis Mutual Fund, says, "We have processes for threadbare analysis of financials. We do not take numbers announced by companies at face value." Businesses will remain the same as accounting standards don't decide the business model, asserts Tarun Sisodiya, Head of Research, Anand Rathi. "Most IT companies as well as the ones listed abroad are already following IFRS. Not much will change for them. Most index companies must be already following good accounting practices and, therefore, may not be impacted," he says. Gopal Agarwal, Chief Investment Officer, Mirae Asset, believes there is a strong case for stricter accounting norms. "These, and more disclosures, give a clear picture of the business. It will help us investors have a deeper insight into companies' business models. We will know more about forex, inventory and derivatives gains/losses and their impact on the company's performance," he adds. Are companies doing enough to make investors aware of the changes? Rahul Chattopadhyay, Partner, PwC, says companies are at different levels of preparedness. "They have been doing their own assessments. They are yet to reach the stage where they can communicate to investors the possible implications of Ind-AS. They have to do it within the regulatory framework. They just cannot come up with numbers and share them with investors." There are many areas where only regulators or policymakers can bring clarity. These include MAT (minimum alternate tax) calculation, applicability of Ind-AS on companies planning to come out with initial public offerings, and consolidation of banking and insurance businesses by parent companies. These norms will not be applicable to banks and insurance companies as per the given roadmap. The date for that is yet to be announced. "Given the lack of clarity on many issues, companies cannot be sure about the impact and, hence, cannot communicate the same to investors," says Chopra of NACAS. Nonetheless, investors must be prepared for volatility in stock prices, he says.